Cocoa Island by COMO Maldives is an unique Maldivian resort located on south male atoll. An intimate and private resort designed for couples. 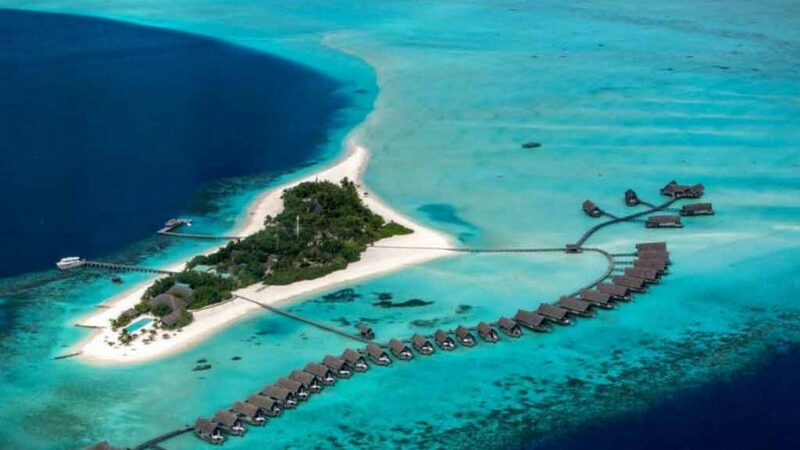 One can reach this exotic island through a 40 minute speedboat ride from Male international airport. 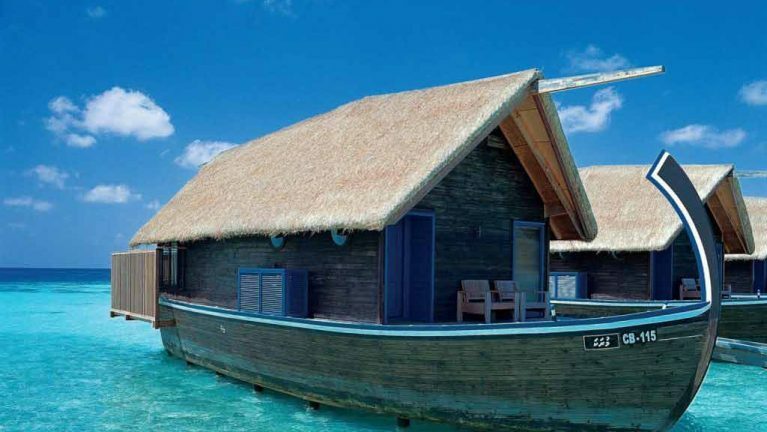 With 33 over water bungalows, the villas are designed to provide guest utmost comfort and seclusion. Relax and unwind in the comforts of the villa admiring the beauty of the island. Tantalize your taste buds with unique flavors from around the world at Cocoa Island by COMO Maldives. Home to a variety of underwater species and lagoons, it is a haven for divers. Indulge in therapeutic treatments that will detoxify, purify and cleanse your body, mind and spirit at the resort. Minimum 3 Nights stay is mandatory to confirm a reservation. Private Speedboat transfers available on additional supplement & on request. Immerse yourself into purifying treatments and release your stress at COMO Shambala retreat. Inspired by Asian holistic treatments, retreat features an open air pavilion for yoga, four treatment rooms, steam room, hydrotherapy pool. Experience an unmatched sense of tranquility by the healing therapies including hot river massages, Indonesian massages, deep tissue massage, Thai massages, Indian massages. 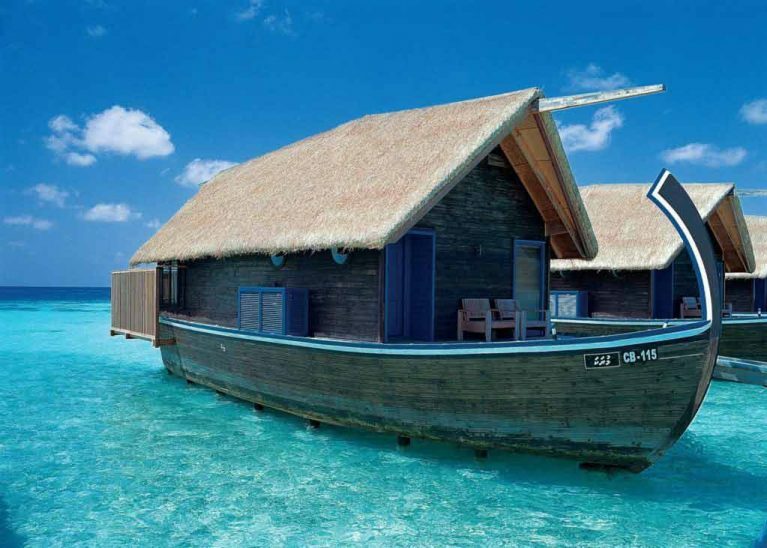 Suspended over the lagoon, Dhoni suites are a boat shaped villa inspired by Dhoni boat. 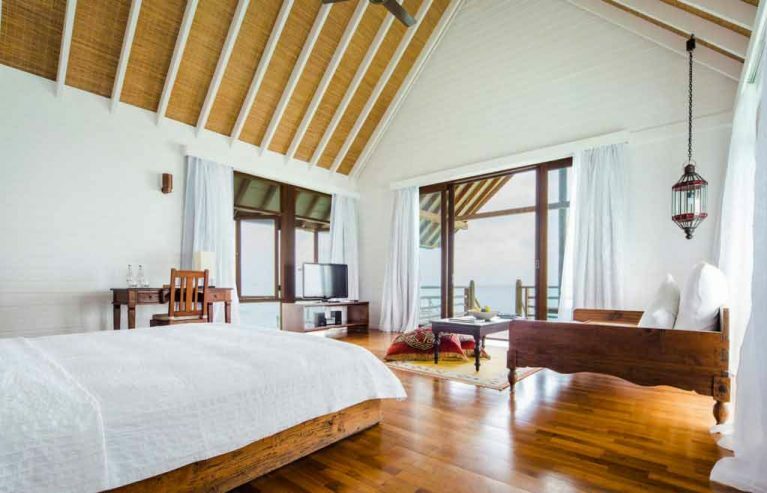 A perfect place to relax and immerse in the beauty of island, the villa features a master bedroom with king size bed, en-suite bathroom bathtubs, showers and bathroom amenities and outdoor deck. The deck features a private sundeck with loungers and dining table. Enjoy your meals and drinks alongside the shore watching colorful underwater life. Relish mesmerizing views of the aqua ocean from the comforts of your bed at Dhoni loft suite. Ideal for small families, the suite is home away from home. Well-equipped with modern amenities, the villa features a master bedroom with king size bed, en-suite bathroom ,a spacious living area and an outdoor deck. The deck features a private sundeck with sun loungers, dining table and a staircase leading to the lagoon. Stilled over the lagoon with the spectacular view of the endless ocean, loft villa is designed for couples. With warm ambience and intimate design, the villa blossoms romance. Ingeniously designed, the chic villa offers a full length window allowing the natural lights in making the experience even better. A perfect place to bask in the sun, the villa offers an outdoor deck features private sundeck with sun loungers and dining table and staircase leading to ocean. The best villa from the resort, one bedroom villa is designed to provide guest a sheer experience of relaxation. 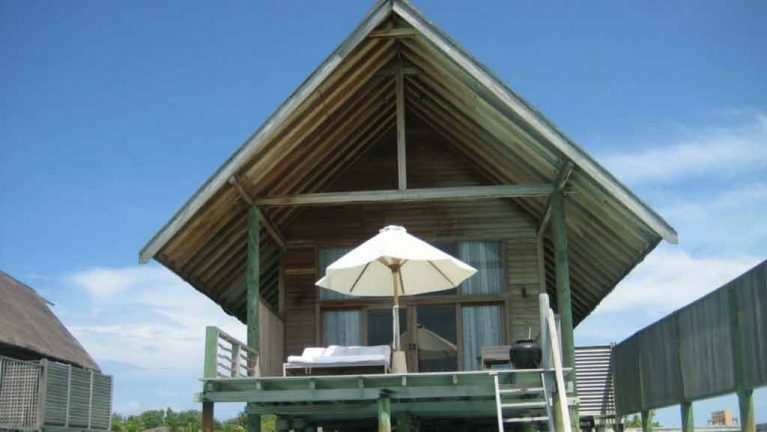 Spacious and well-designed, one bedroom villa is perched over the lagoon with a secluded jetty. Equipped with modern amenities the villa features a master bedroom with king size bed, en-suite contemporary bathroom with bathtub, rain shower and bathroom amenities, spacious living area leading to a private deck, the deck features an outdoor shower, sundeck with sun loungers and dining table and staircase leading to ocean. Choose from sunset or sunrise Como villa each offering a unique experience. 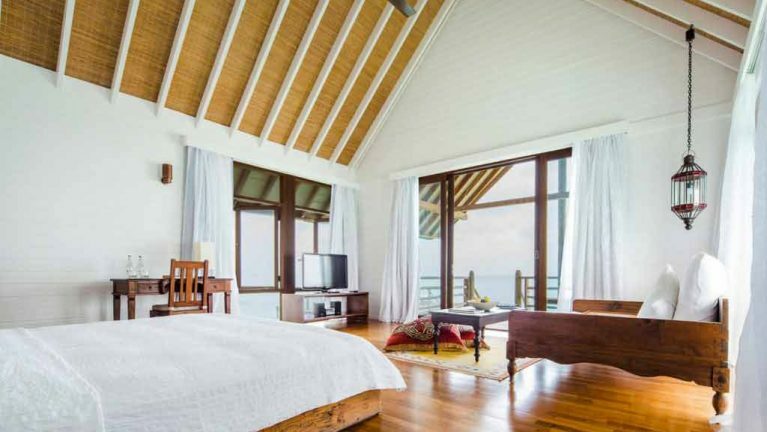 The villa features a master bedroom with king size bed and guest bedroom twin bed. The spacious and airy bathroom comes with a bathtub overlooking the lagoon, rain shower. Bask in the sun or dine under the stars in the airy outdoor deck featuring sunflowers, daybeds. Experience one of the best dining experience in Maldives with light and modern menu featuring Asian and Mediterranean cuisines at Como. Tantalize your taste buds with unique flavors at different restaurants offering succulent cuisines inspired form around the world. Taste the mouthwatering cuisine from Southeast Asia and Mediterranean at this unique restaurant, Ufaa. Known for fat-free yet flavorful meals, UFAA prepares fresh local seafood, meats, vegetable in tandoor oven. 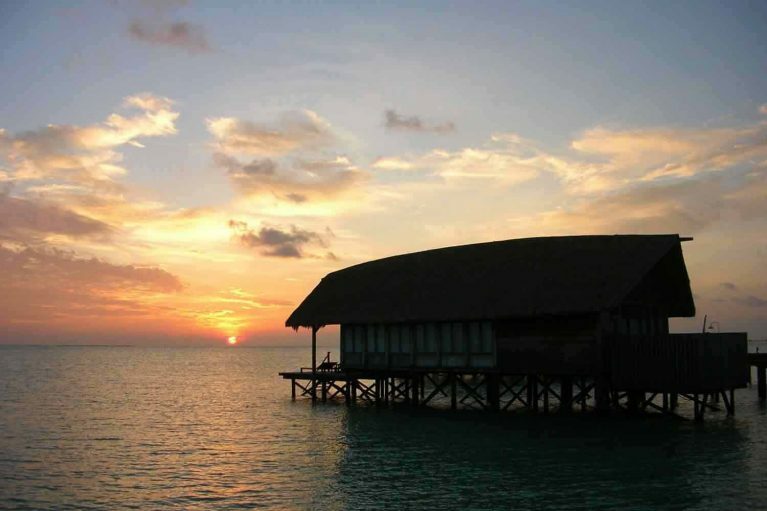 Relish in the relaxing atmosphere of Faru bar enjoying the majestic sunsets and your favorite drinks. A barefoot experience the restaurant offers refreshing Cocktails, mocktails, collection of fine wines and cigars. An unforgettable experience awaits you at Coco Island by Como Island. Experience a private dining with loved ones in exotic locations across designed especially for you. Dine under the stars with sound of soothing wave on the beach while a personal butler serves you a five-course meal with a chilled bottle of Champagne. An a la carte dining experience awaits you at the beach. Feel the warm sand at your feet as you dine with your loved ones surrounded by flickering lanterns. Enjoy a romantic candlelit dinner near the shore surrounded by lanterns. A private candlelit dinner in your own Dhoni or villa awaits you. A gourmet breakfast selection served with a bottle of chilled Champagne with first rays of the sun. COMO Shambhala Cuisine consolidates natural ingredients rich in living chemicals, vitamins and ocean minerals. At Cocoa Island by COMO, Chefs additionally make abundant utilization of the tandoor oven, a kind of Indian oven allowing chefs fat-free cooking of meats, vegetables and fish whist presenting a great charcoal flavor. Cocoa Island by COMO’s Room service menu is wide and varied, as one would anticipate from one of the best Maldives luxury resorts. Accessible from 7am until 11pm on a daily basis, it incorporates plates of salads, open-face sandwiches and pastas. And for Sun lovers, it offers lassis, chilled coconut milk and a variety of naturally prepared juice. Recently re-branded by The COMO group. Famous for boat shaped villa inspired by Dhoni boat. No gallery images found for this resort.